After so many years, Rockstar San Diego is planning to publish the sequel to this fantastic game. RDR was a single player as well as a multi-player game played from the eye of the other person. In it, the player travels the world virtually and kills the people around them. The player can use the weapons to kill the people. A new slow motion gesture was added in it which was also seen in the Max Payne Series. Red DeadRedemption series is published by Rockstar Games and developed by Rockstar San Deigo. It is an action adventure game. RedDead Redemption 2 is said to be launch in the first quarter of 2017. It is rumored that the Rockstar Games and Take-Two Interactive is planning to launch the sequel of RDR. This sequel is expected to bring more adventure to it. It may include the new design, better features. 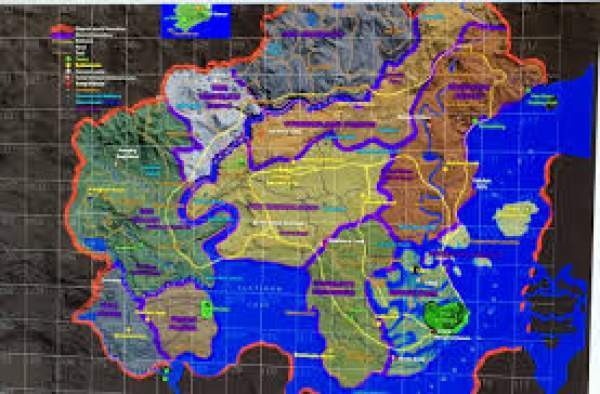 The game maps have been leaked online which shows the valleys of Kahlua and Roanoke. There are various landmarks and areas which seem to be similar like Old Fort Walls and Larned Sod. Some websites are claiming that this sequel of RDR may follow a story of Indian war which was fought in the 1850s. It is also expected that the ‘Mafia 3’ which has New Bordeaux will be included in it because Take-Two Interactive is releasing it just after few weeks. The player can also swim, travel through the water in the upcoming sequel. Regarding the RDR2, there are also some rumors that the name of the game will be changed. The RDR2 will be launched on various platforms like PlatStation 4 Pro (PS4 Pro) and Xbox Scorpio. It is quite surprising that the developers and the publishers are not making any official statement about the release or gameplay of the RDR2. Even during the Electronic Entertainment Expo (E3), there not any statement about the RDR2. The first sequel was focused to the end of the west, and we need to see where will this sequel lead the way. Let us wait for the most anticipated game from the house of RockstarGames. The most recent date on which the RDR can be released is still unexpected, but the date will surely come in early 2017. Hope the Rockstar games will make the most anticipated game of the year to the best game of the year. Hope you liked the information. Stay tuned for more updates.